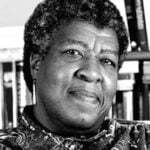 Octavia Estelle Butler (June 22, 1947 – February 24, 2006) was an American author of science fiction. 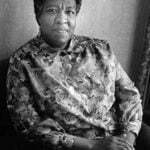 In the white male-dominated genre of science fiction, she broke ground not only as a woman, but as an African-American. Her dyslexia was no barrier to developing a love for books and stories. She started to write her own stories at age ten after begging her mother to get her a Remington typewriter. She was drawn to science fiction magazines like Amazing Stories, whose contents spoke of wondrous possibility and unlimited imagination. “It’s impossible to begin to talk about myself and the media without going back to how I wound up writing science fiction and that is by watching a terrible movie. The movie was called, “Devil Girl from Mars,” and I saw it when I was about l2 years old, and it changed my life. After graduation from Pasadena City College in the early 1970s, Butler’s mother wanted her to become a secretary. But she was determined to write, taking on all kinds of mindless jobs that wouldn’t drain her mental energies — dishwasher, telemarketer, potato chips inspector. After publishing some short stories, Butler’s first novel was Patternmaster (1976). It was the first in what would become a four-volume series. Central to these novels are Patternists, people with telepathic powers. But it was Kindred (1979) that really helped Butler launch her career. It tells of a contemporary African-American woman who travels back in time to save an ancestor who happens to be a white slave owner. By saving him in his time, she ensures her own survival in the future. Other highly-regarded books included the Xenogenesis trilogy — Dawn (1987), Adulthood Rites,(1988), and Imago (1989). 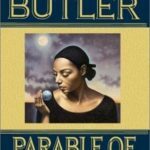 The two-part Parable series — Parable of the Sower (1993) and Parable of the Talents (1998) are also among Butler’s best-known works. 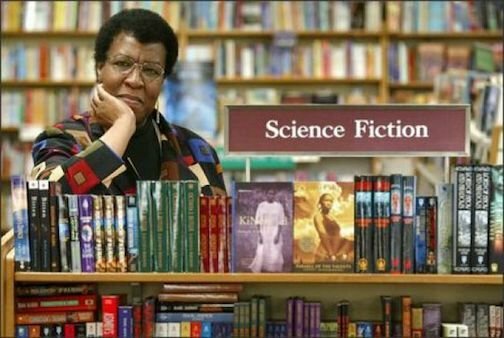 For Octavia Butler, science fiction wasn’t merely a vehicle for escaping into fantasy, but a means to explore universal issues that face humanity. Her deep and abiding interest in and observation of human nature — even within fantastical realms — is what makes her work so compelling, and complex. And yet her storytelling is flowing and natural. Many of her novels are tightly plotted page-turners. 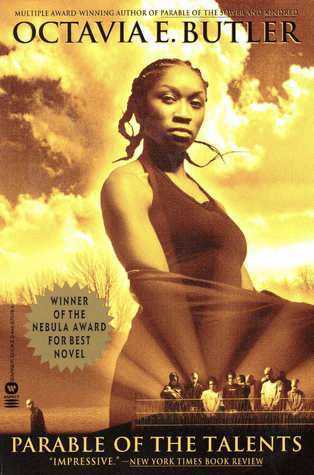 Many of her protagonists are strong and believable black women. Once Butler’s books appeared in print regularly, it didn’t take long for the literary world to take note. “Speech Sounds” won the 1984 Best Short Story Hugo Award, and the same year, the novella “Bloodchild” won a Nebula Award. Many other awards followed. 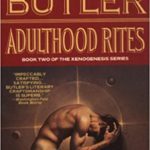 In 1995, Butler became the first science fiction writer ever to be awarded a MacArthur Foundation“genius” grant. This made it possible for her to buy a house for her mother and herself. 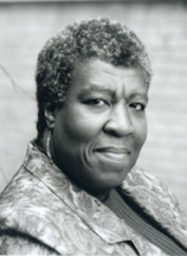 Octavia Butler came to be known as “The Grand Dame of Science Fiction.” The Los Angeles Times quoted her as saying, “I’m black, I’m solitary, I’ve always been an outsider.” In her novels, she presented characters who had to endure, make compromises, and sometimes accept radical change as a means of survival. Though sometimes presented in fantastical settings, she left no doubt that her protagonists were emblematic of historically exploited minorities. 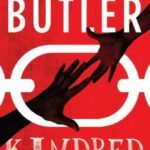 Butler was an important catalyst in a literary movement called Afro-Futurism world, which depicts black characters as central to sci-fi realms. After her mother died in 1999, Butler moved to Seattle. She began to experience ill health, depression, and writer’s block. Numerous projects were started and abandoned, but she managed a final novel, Fledgling (2005). She died in 2006 in Seattle, Washington at her home. She was 58 years old. Though she had been suffering from an increasing number of health problems, the exact cause of her death, which may have been exacerbated by a fall, is unknown, though it has been said she may have died of a stroke or head injuries.